Philae, the first probe that humans have ever landed on a comet, is already sending back images from its journey. 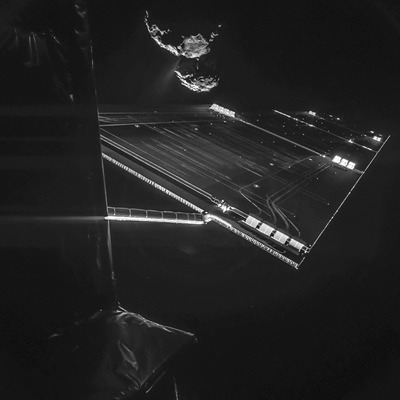 Here’s the first shot, taken by Philae from about 1.8 miles above the comet surface, with it’s ROLIS instrument, which is a downward-facing camera that was tasked to take images of the comet as Philae descended. ESAPhilae took this picture of the comet after touching down. These shots came in Wednesday, Nov. 12, a history-making day for humans in space, and the culmination of a 10-year project that has already taught us much about our solar system. 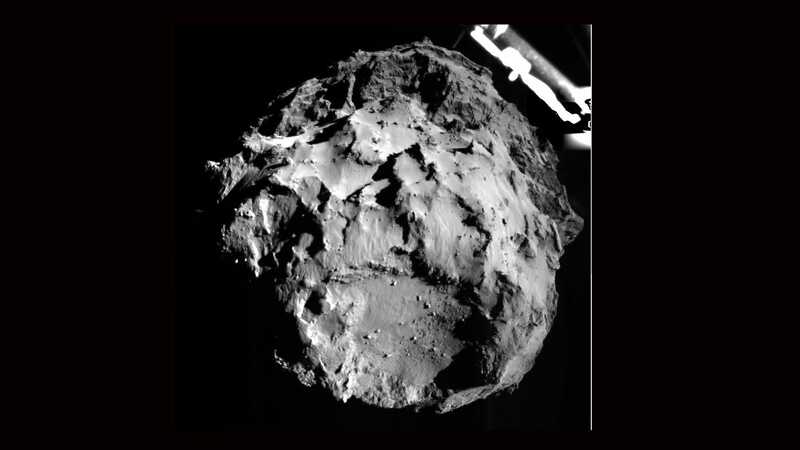 During all this time it’s been carrying some very precious cargo inside called the Philae lander. 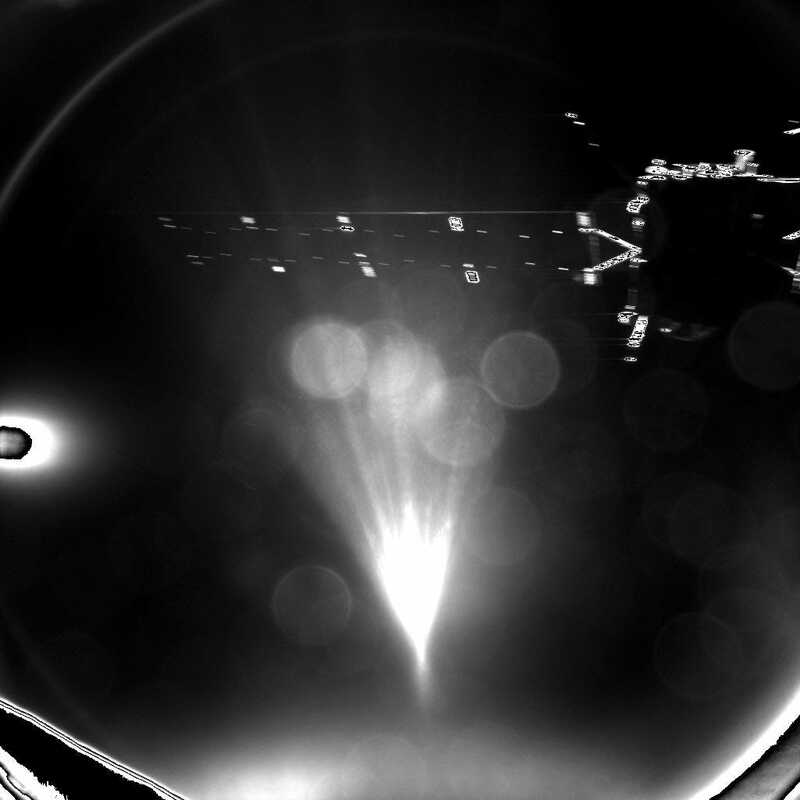 The lander successfully touched down on the comet at 10:35 am EST (7:35 am PST) on Wednesday, Nov. 12. Right on schedule! Philae was supposed to harpoon the comet when it landed, which would have secured the tiny space probe to the spinning comet’s surface. But something went wrong and the lander is currently hanging on to the surface but entirely secured. DLRdeThe Philae lander will secure itself to the comet upon touch down. 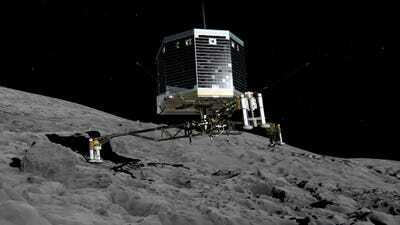 Philae will have enough battery power, scientists suspect, to obtain data for about two-and-a-half days after landing. During that time it will collect data from the surface to study the comet’s composition. Comets, like 67P/Churyumox-Gerasimenko, could have supplied Earth with water that was essential for life. Discovering how the solar system evolved, including life on Earth, is one of the goals of the Rosetta mission.